Xwi7xwa (pronounced whei-wha) began in the 1970s with the founding of the Indian Education Resource Centre. The collection later came under the care of the Native Indian Teacher Education Program (NITEP). When the First Nations House of Learning opened the Longhouse in May of 1993, NITEP transferred the collection to Xwi7xwa. 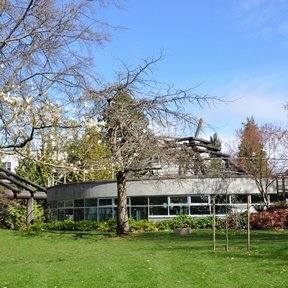 Xwi7xwa is now a branch of the UBC Library. The collections currently consist of approximately 12,000 items, including about 6,000 books, 450 videos, 5,000 vertical file materials, curriculum resources, journals and newspapers, maps, posters, theses and dissertations, the G.A. (Bud) Mintz special collection, and some archival materials. The collections focus on First Nations in British Columbia, but include contextual materials about Aboriginal people in Canada as a whole. In addition to special collections, Xwi7xwa has research librarians expert in Indigenous areas, and is an international leader in Indigenous classification research. Reference librarians are available to help you access the resources of the Xwi7xwa library and anyone with a UBC Library card may borrow materials.